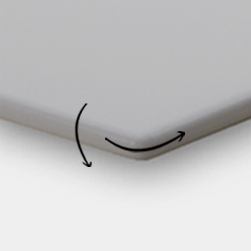 Cuttingboards.net - 1/2" White Poly Cutting Board - A Cut Above the Rest! 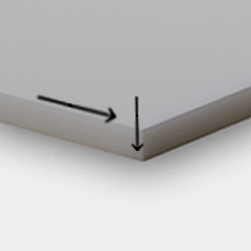 Size: These boards can be cut to the exact size you need. Note for example: If the short side is 10 1/2" and the long side is 16", you will select "10" as the "short side", then "1/2" as the "short side fraction". Then choose "16" as the "long side" and "0/16" as the "long side fraction". Care and Maintenance: Dishwasher safe! 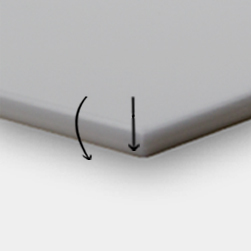 PLEASE NOTE: Custom boards over 96" long may not qualify to ship regular ground and could require an LTL carrier due to restrictions from UPS on the maximum length of packages. 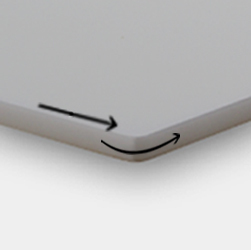 If your cutting board cannot ship UPS ground, you will be notified by a customer service representative before production on your board begins. This is my second time dealing with this company. 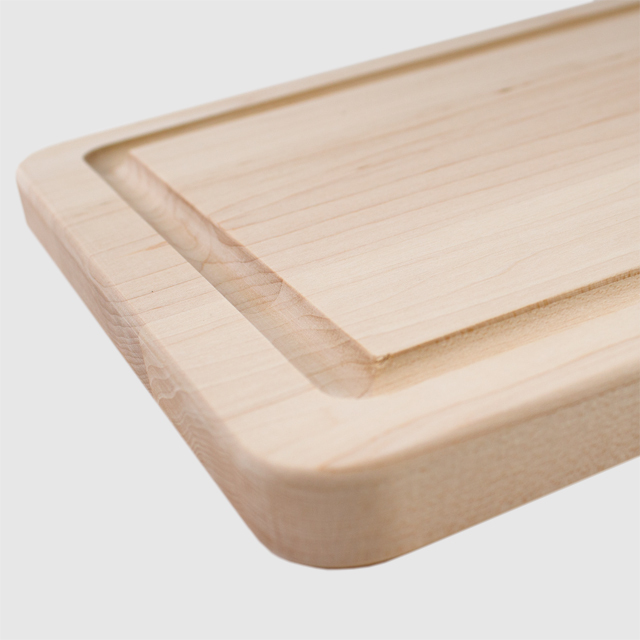 Both times they have provided super fast shipping and high quality, competitively priced cutting boards. Thanks! Works great to cover sinks to use for extra working space. Ordered my cutting board and 2 days later it showed up on my doorstep. I ordered a large board, close to 4 ft X 2 ft My wife questioned my sanity when I ordered such a big board online. Then it arrived. She held it in her hands, ran her fingers over it slowly, turned her head to look back at me with this huge smile and said, "I Love It., I can use this for so many things" Thanks guys for a great product and super timely shipping. Already gave your website out to friends. My new cutting board is great! It's great to find a source for custom cutting boards; I'm tired of searching through kitchen supply stores for stuff that doesn't seem to exist. I was able to get multiple boards in custom sizes so that I now never run out when I am cooking. They are nice and solid, and clean up like new in the dishwasher. Cutting boards used to be a ripoff!! !